If you like to enjoy the wide open spaces—even when you are indoors—you are not alone. As this article notes, open floor plans continue to be a very popular feature when it comes to new homes and remodeling projects for existing homes. Many people don’t like homes that are chopped up into a bunch of small, separated areas. An open floor plan makes it easier for people to interact, and also comes in very handy when you want to entertain and host a large gathering of friends or family. As a bonus, it also makes your living space appear larger. One advantage of an open floor plan that is particularly timely relates to the increasing number of multi-generational households. With so many homes now including family members of a wide range of ages and physical conditions, an open floor plan can be desirable because it is easier to navigate and presents fewer potential obstacles or hazards. From a design standpoint, an open floor plan offers a wide variety of style and decorating options. Plus, your favorite decorating pieces or design elements can be enjoyed from many different vantage points throughout the home. 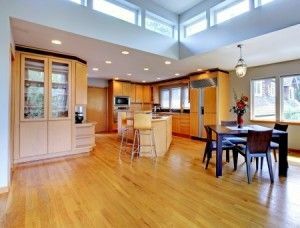 In Paradise Valley or anywhere else in the entire region, RW Remodeling can handle your dream home remodeling project. No matter what type of vision you have in mind for your space, we can make it happen. Contact us today to discuss your plan.